World Migratory Bird Day (WMBD) is an annual awareness-raising campaign aiming to inspire the worldwide conservation of both migratory birds and their environments. Over the week of 10 May, people around the world take action and organise public events such as bird festivals, education programmes and birdwatching excursions to celebrate WMBD. 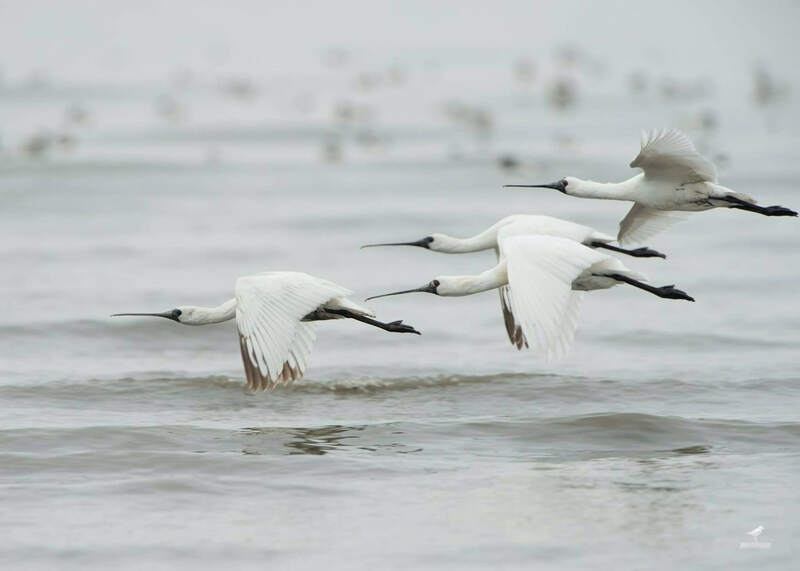 As one of the main WMBD partners, the East Asian-Australasian Flyway Partnership (EAAFP) conducts flyway-wide campaigns to inspire, promote and support migratory waterbird conservation efforts across the East Asian-Australasian Flyway (EAAF). With the 2017 theme “Their Future is our Future,” WMBD will highlight on the topic of “Sustainable Development for Wildlife and People.” WMBD 2017 will focus on the interdependence of people and nature, and more especially people and migratory animals – in particular birds, as they share the same planet and thus the same limited resources. The 2017 campaign will aim at raising awareness on the need for a sustainable management of our environment, demonstrating that the conservation of birds and their habitats is also crucial for the future of humankind. We share the same planet and we share the same future. We should make that future a bright one. Find more information and resources about the WMBD 2017 here. Under the global theme, the EAAFP Secretariat will highlight several species experiencing rapid population declining in the East Asian-Australasian Flyway (EAAF), primarily Red Knot and Great Knot, but also other species such as Garganey, Black-tailed Godwit, and the Critically Endangered Spoonbill Sandpiper. The population of Red Knot and Great Knot has been declining at a rate of 2-2.5 % per year in recent decades, primarily as a result of habitat loss at the stopover sites, according to the Arctic Migratory Bird Initiative Workplan 2015-2019. Both species have been identified as priority species for EAAF in the Workplan. For the WMBD 2017 campaign, the EAAFP Secretariat would like to propose the ‘Year of the Knots’ with awareness raising activities including a drawing competition and travelling exhibition supported by Partners and collaborators. The Secretariat will develop some materials to support campaigns across the EAAF. Please contact us if you need to add logos for your own local campaign. 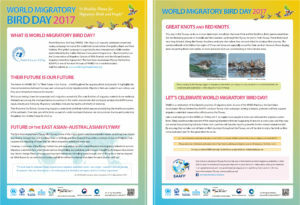 Interested in spreading the word about World Migratory Bird Day? Or maybe you have an event you’d like to promote? Click this link for the official WMBD Social Media pack to find useful materials and resources for doing so. EAAFP encourages the celebration of WMBD in each country of the Flyway through events, messages and media to raise awareness on the migratory waterbirds and issues they face. Small scale activities can also contribute. Below is information on the events and activities going on this year.